Our installers are highly-trained professionals who install all types of custom window treatments. 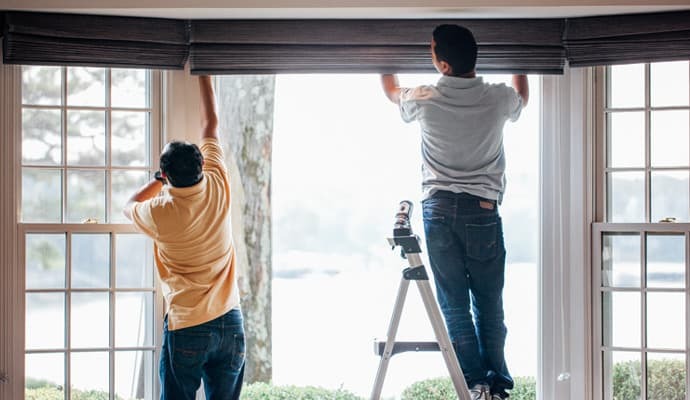 Custom blinds, shades, shutters, automated systems, and fabric treatments can be challenging to install properly without previous experience, which is the reason we prefer to take responsibility for the installation of the products that we sell. Our installers are Hunter Douglas Certified and also PowerView Pros, so they are among the best in the industry when it comes to installing not only Hunter Douglas products but all of the products we offer. Why take a costly chance? Have us measure for your new window treatments and professionally install them for a guaranteed fit. We offer a one year warranty on all of our installations.